Love Lo: Dinner and Dessert! 2. 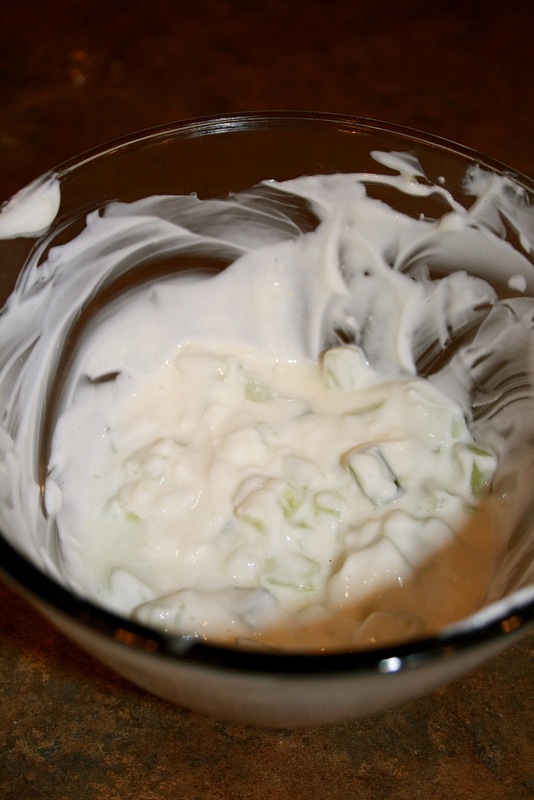 Stir together remaining lemon juice and garlic, cucumber, yogurt, and a pinch of salt. Refrigerate covered until time to serve! 4. Grill skewers, turning so brown on all sides and cooked through. about 8 minutes. 5. throw pitas on the grill when only a couple mins to go. 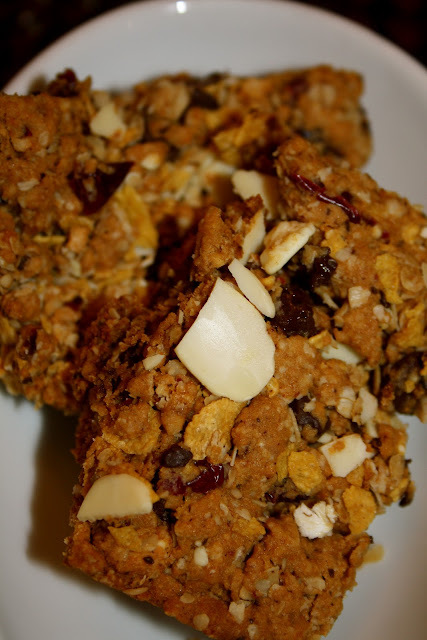 Place 3/4 cup oats, 1/4 cup of cheerios, chocolate chips and craisins in a food processor or blender. Pulse a few times to crush up ingredients (its ok to have chunks! DONT GO NUTS!). Put mixture into bowl and Add the baking soda, salt, vanilla, flour, oil, honey, and molasses. Mix until well combined in to a dough. Fold in the remaining 1/4 cup of oats and 1/4 cup of corn flakes until combined. Press this mixture into the 9×9 pan, don't forget the parchment paper! great for easy clean up and no sticky messes!! Bake for 15 minutes or until the bars are lightly browned on top. Remove from heat let cool! Then cut it up in to bars and EAT IT UP! !